Never able to find things? The Homz Smart Storage app is a free inventory program to help keep track of what you’ve put where. 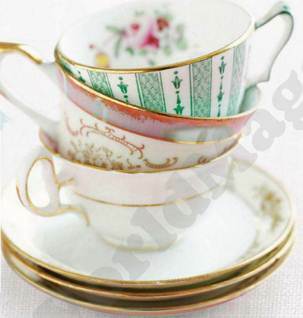 If your tea-light holders are covered in melted wax, instead of chipping away at it, just put the holders in the freezer for a few hours – the wax will shrink and pop right out. If you frequently need to pack a smartphone charger, but fear the damage a plug can do to your bag or to the things inside it, it might be worth investing in a Mu USB Smartphone adapter, which uses a swivel mechanism to fold the pins away. Very compact, it folds to just 14mm – 70 per cent smaller than the traditional plug, and it’s compatible with all USB-powered smartphones; $37.5, themu.co.uk. Next time you need to peel ginger, try using a spoon. It removes the thick skin easily, even from the knotty bits. Use with the concave side facing you and pull towards you. 5. Mini vases They look lovely with sweet peas, wild flowers or lone roses. 6. Pot pourri pots A beautiful way to scent your bathroom or bedroom. 7. Light holders The perfect place to put tea lights and candles. 8. Dessert dishes They make ideal individual pots and refrigerated desserts, such as a decadent chocolate mousse or lemon posset. When she’s not cooking up a storm in the kitchen, W&H’s food editor Jane Curran is a passionate (amateur) gardener. Here are her tips for getting ahead in the garden. 9. Check your plants at this time of the year, as many will have self-seeded. Check aquilegia, poppies, hellebores, species geranium (Cranesbill) and euphorbia. Pot them up if you don’t need them in the garden – handy for fundraisers and local charity sales. 10. Keep deadheading summer bedding plants such as geraniums and petunias to ensure you prolong the flowering season. Also deadhead those plants you don’t want to go to seed or save the seed heads in sealed plastic boxes. 11. Pour yourself a drink put your feet up and decide which spring-flowering bulbs you should order. This year, I’m planning wild garlic, great for a shady spot and it’s delicious in salads and soups. Peter Nyssen (petrenyssen.com) sells large quantities of all bulbs, including wild garlic. 12. 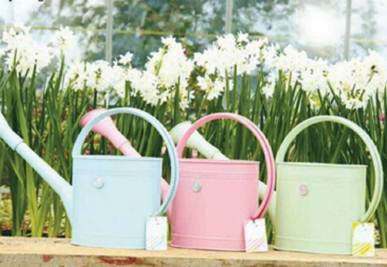 Just for the girls I fell in love with these pastel watering cans from favorite garden shop, Burgon & Ball ($37.5, burgonandball.com). High quality and a generous five-litre size to save time! - How To Live To 100!